Help us bring an original Heather Söderberg casting, “Dreaming,” to Washougal. 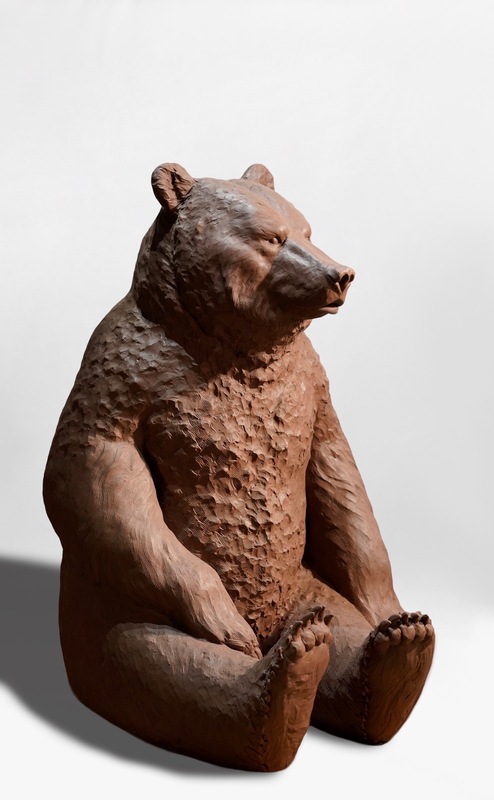 This life sized bear will be a community favorite to take pictures with and add charm to our downtown. As one of the first women to own a bronze foundry in the United States, Heather Söderberg’s sculptures have earned her regional and world-wide attention. Her other works in Washougal are Seaman in Reflection Plaza and Chak Chak American Eagle at Washougal Waterfront Park. More than $15,000 has already been raised toward the $30,000 goal! Please be a part of this wonderful new sculpture project with a donation. Every bit counts! The mural, (concept drawing featured above) designed and painted by internationally renowned Native American artist Toma Villa, will be installed outside the Washougal Community Library for the entire community to enjoy. If you are familiar with Washougal’s history, you know that Betsy White Wing Ough, a Cascades Tribe princess, along with her husband Richard Ough, founded this great city. For her role, Betsy is lovingly referred to by many as the “Mother of Washougal.” The theme of the mural is Richard Ough courting Betsy White Wing Ough. This project was funded by generous contributions from WACA supporters, a WA State Snap Grant and City of Washougal. 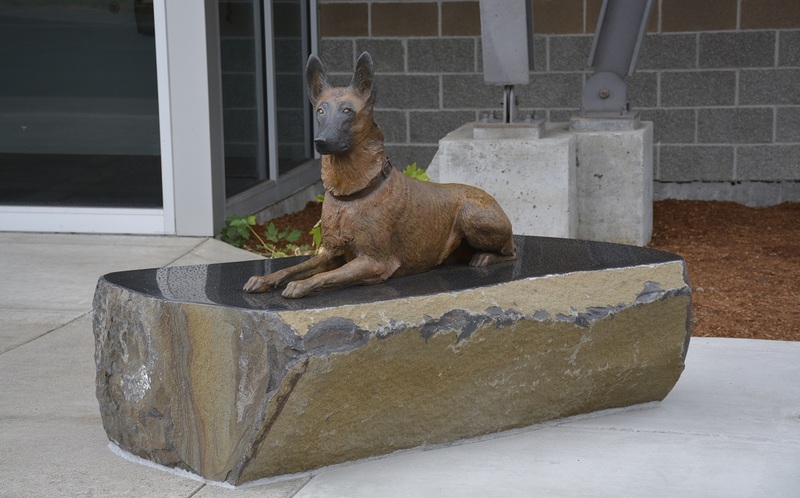 FOREVER FAITHFUL is a life-sized bronze dog sculpture of a Belgain Malinois, created by prominent bronze sculptor Susan Bahary. It sits proudly outside the Washougal Police Department at 1320 A Street, Washougal. Thank you to the community for their donations to bring this piece to Washougal! WACA’s For the Birds Art Project is a simple, low cost way for the community to engage in public art! A limited number of pre-constructed bird houses were made available to community members to decorate as a start to the process. Next, local craftsmen have been invited to build their own creations to add. This artistic display of community inspired and created bird houses is located at the City garden plot next to City Hall and got its start in Fall of 2016. 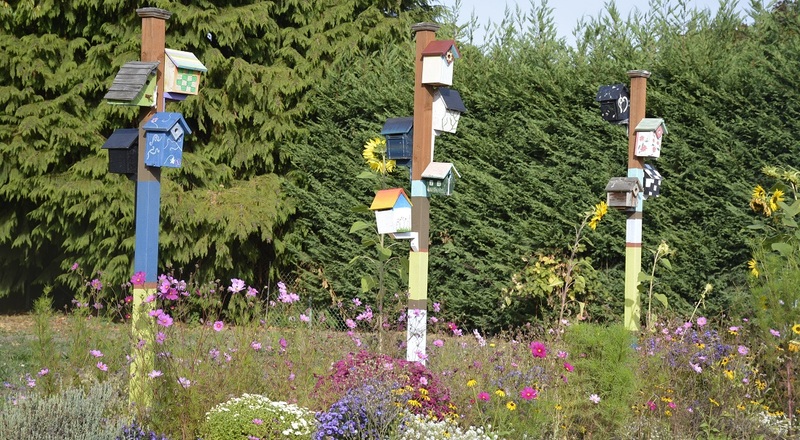 The full WACA project vision includes planting flowers and scrubs with the ultimate goal to create a beautiful butterfly and bird garden featuring these artistic bird houses of various sizes and décor. A place of beauty! There is a $25 mounting donation (charged at the discretion of WACA). • Outdoor latex paint recommended, however all houses will be clear coated with Rustoleum before mounting. All houses become the property of WACA and can be taken down, sold to raise funds or moved to a new location at their discretion. 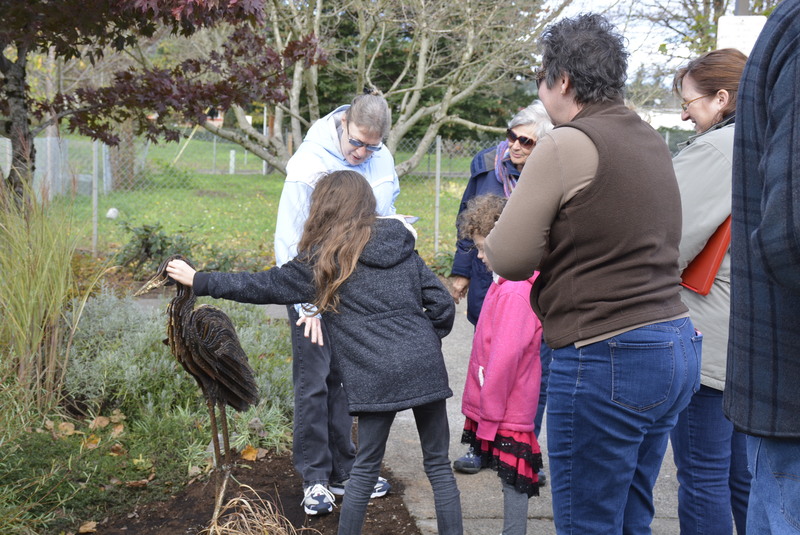 “Golden Back Heron,” created by Portland metal artist Tom Jackson was welcomed to Washougal on Nov 19. The three-foot tall metal sculpture stands in the rain garden next to the main parking lot at Washougal City Hall, 1701 C Street. 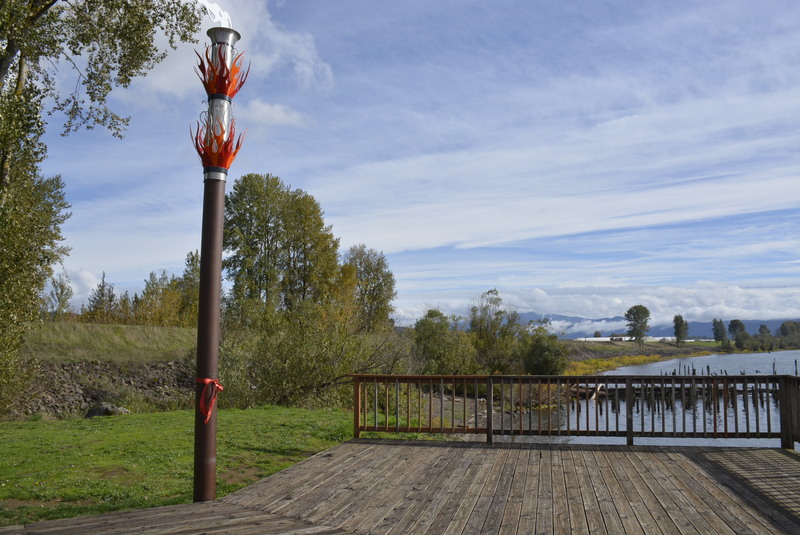 “FIRE” created by the husband and wife artist team, Jennifer Corio and Dave Frei, was unveiled and presented to the City of Washougal on Oct 29 at Steamboat Landing (Hwy 14 and Washougal River Road, Washougal). In August 2015, Washougal welcomed its newest resident, a bronze sculpture of Seaman, the Newfoundland dog that accompanied Lewis and Clark on their expedition which included a stop in Washougal for provisions. The life-sized bronze was created by Cascade Locks artist Heather Stoderberg-Greene. He was made possible by the fund raising efforts of WACA and the Columbia Gorge Woman’s Association. The piece is now a fixture in downtown Washougal delighting children and families who climb on his back for photos and community members who decorate him to celebrate seasons!